The Ozeri Prestige Electric Wine Opener makes opening wine bottles easy while entertaining your guests at the same time. This is an American made product. Designed for home and restaurant use, its latest generation battery now opens up to 80 wine bottles with the gentle push of a button, all on a single charge. The Ozeri Prestige Electric Wine Opener is completely cordless and includes an elegant recharging base with an LED charging indicator. The Ozeri Prestige Electric Wine Opener opens both natural and synthetic corks. It also boasts a new ultra light-weight design, a faster motor, and an ergonomic rubberized soft grip for effortless handling. Use it at home or take it with you to impress your hosts and guests before the first sip. The Prestige also ships with a free aerating pourer to enhance aromas, and a compact foil cutter to remove wine seals. 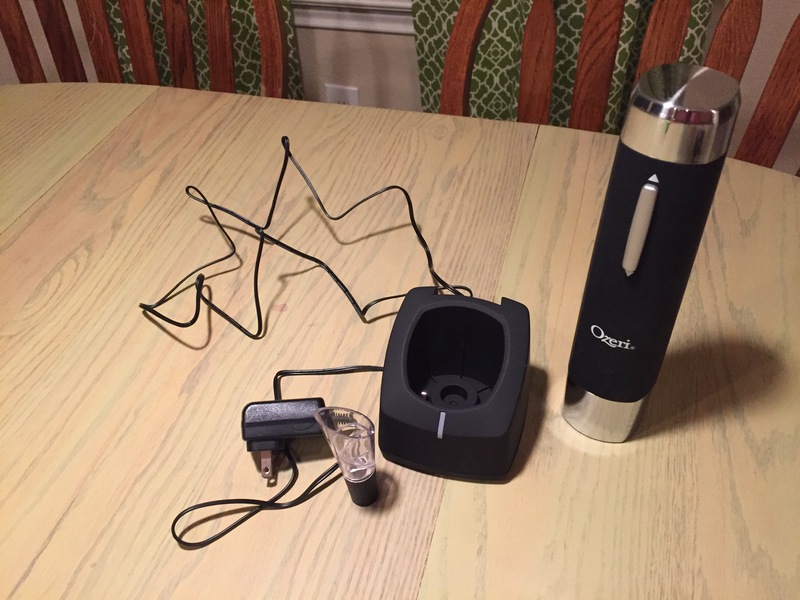 The Ozeri Prestige Electric Wine Opener is very nice looking. Does what it is supposed to and was as advertised. The opener sits well in the charging stand and shows red when charging and green when charged. The Ozeri Prestige Electric Wine Bottle Opener comes with a Removable Foil Cutter and a bonus Aerating Pourer. All you do is use the foil cutter first to open the seal on the wine bottle, and then place the opener directly in a vertical position on top of the bottle and push the bottom of the Up and Down button, this removes the cork, synthetic or natural from the bottle, and then the top of the button removes the cork from the opener by going counter clock wise, it’s super easy and fast!!!. 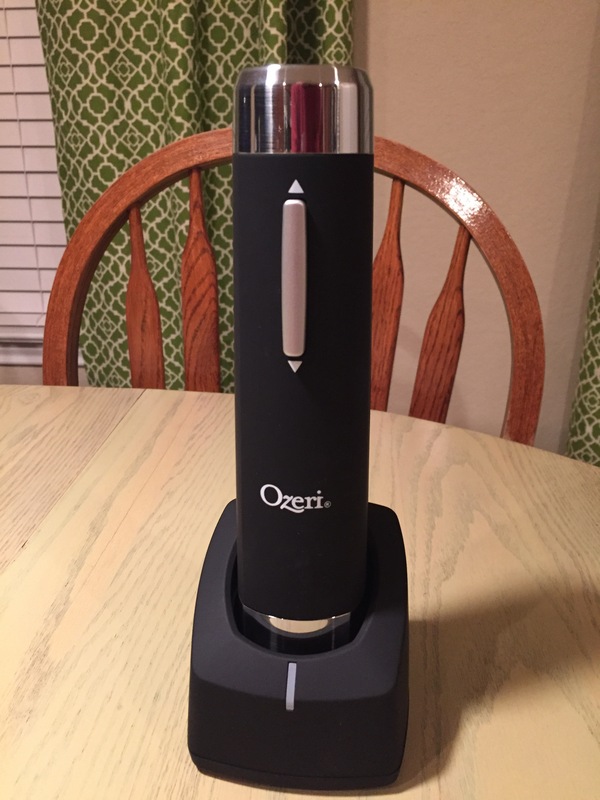 The Ozeri Prestige Electric Wine Bottle Opener would make a great gift item for a wine love that loves gadgets or as a gift to some one that might have issues such as arthritis that limits their ability to use a traditional cork screw. In the box you you get the opener, charging base, power cord, a foil cutter and a pouring air-rater.